How do I contact Somercourt? Established for over 25 years .we are specialist office furniture suppliers and installers renowned for the quality of products and services that we supply. We are happy to provide references from many of our satisified clients. Our friendly and efficient staff are fully trained and most have held senior positions in the office furniture industry, their experience spans over 30 combined years and their training is second to none. You can feel confident that the advice you are given and the products you are sold are of the highest quality and the best value for money available in the market place. Somercourt is based just off Junction 26 of the M5 ( see contact us for site map) where we have a purpose built offices and warehousing facility. A copy of our full Terms & Conditions is available by continuing to scroll down this document. All prices advertised on our website exclude VAT at 20%. If buying online vat will be added at the check out process. 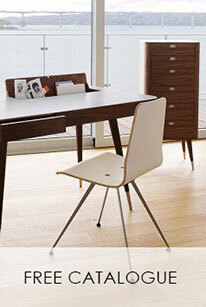 Somercourt Limited can be contacted by telephone, e mail or fax. You can place your order by completing an online enquiry form , by calling us and placing your order with one of our product advisors or fax us your requirements . You may also buy certain products via our online buying facility. Please note that all products are not available to buy online . Please also note that different terms and conditions apply to end user “Consumer Customers” ie (individuals buying for their own personal use ) and Business Customers. Please contact us before placing an order. Unless otherwise agreed in writing by this company, we take payment with your order by cheque , BACs or debit/credit card. Your instructions and orders can be emailed to us at [email protected] or faxed with a written confirmation. Your order will be acknowledged in writing. Please check carefully as this forms the basis of your order with Somercourt Limited . We accept payment by cheque, debit or credit card. Please make cheques payable to "Somercourt Limited ". We normally process your order on receipt of the cheque. We currently accept qualified and verifiable debit and credit cards with the exception of AMEX. All credit/debit card details can be submitted to us over the telephone and by e mail via the website. It is our policy to obtain security validation of your credit or debit card details before accepting the order. Payment will be taken in full at the time of the order. A receipt for your transaction will be sent to you at the address you have provided. Please check with us before placing your order. Only where clearly stated are our products delivered and installed free of charge, others may be subject to a "tailboard " delivery charge, which will be notified to you at the time of your enquiry. We are happy to install your products at the appropriate charges, If this service is required (and subject to the quantity of products) we would request that you complete a pre-installation questionnaire that assists our installation team and yourself to understand the full details of the installation, and ensures a smooth and efficient completion of your purchase. Wherever possible our seating products will be delivered complete and ready for immediate use. In some instances, and to protect against damage, we may despatch your order in a boxed flat pack form for self assembly. The degree of assembly required depends on the model purchased. The assembly is usually simple and requires no special skills or tools. 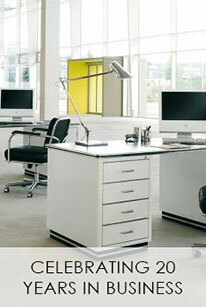 Unless otherwise stated we will charge for the professional installation of your Office furniture. Costs are kept to a minimum but are priced on a case by case basis. If you receive products that have been damaged during delivery or contain a manufacturer's defect. Please contact us immediately on 01823 668428 or e-mail us at [email protected] and we will arrange at our discretion to repair or replace any defective component as quickly as possible. If necessary we will replace the entire faulty product at no cost to you. If upon inspection it is discovered that the fault or defect is as a result of misuse by the customer . We reserve the right to charge for any repair or replacement including replacement parts,redelivery and labour costs. Products manufactured specifically for your needs cannot be returned unless they are faulty or damaged, in which case we will ensure the repair or replacement in accordance with our damaged goods policy. 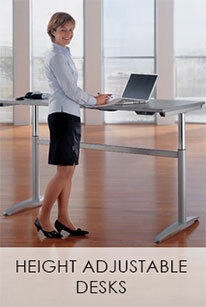 This policy applies to bespoke furniture items eg Reception Counters ,Chair Fabrics and Height Adjustable Desks. We will do everything possible to minimise errors including a final specification and order acknowledgement to which you must agree in writing before the order is placed. If you decided to cancel your made to order product for any reason , it is unlikely that we would be able to sell it to another customer at the full selling price. Somercourt Limited will therefore charge a cancellation fee of 50% of the order price , this applies to all made to order products when the order is cancelled after 24 hours of placing the order. This does not affect your statutory rights. Please note. Seating Fabrics Colours and Wood Finishes can be distorted or misrepresented by individual computer screens and are provided for illustration purposes only in support of the products portrayed. It is possible that images can be altered by screen resolutions and other factors. We would always recommend that if in any doubt that a fabric or wood sample is requested before placing your order. In the unlikely event that you have any problems with the products you have purchased from us we will resolve the issue under the terms of the product guarantee as quickly as possible. 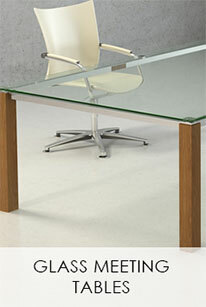 We only offer furniture that is considered to be of guaranteed quality, from manufacturers who have a well-established reputation in the office furniture industry. Every effort is made to ensure that the information provided on this site is accurate and does not contravene any patents or copyrights. Such product descriptions whilst given as a guide in good faith are subject to alteration by Somercourt Limited without notice. In the rare event that we provide misleading or erroneous data on product specification or price, we will endeavour to satisfy any complaints by offering either an alternative product of similar quality or a product of higher value and quality for the same price. We reserve the right to withdraw products without notification and without substitution. We reserve the right to change or correct any errors in price or specification without prior notification. Except in respect of death or personal injury caused by negligence on the part of Somercourt Limited . Somercourt Limited shall not be liable to the buyer for any consequential loss or damage (whether loss of profit or otherwise ) costs or expenses or their claims for consequential loss whatsoever which arise out of or in connection with the supply of the goods or products or their use or resale. Our reputation means that we only supply products based on quality and value for money, sourced from quality assured reputable manufacturers. All the products are supported by a manufacturer's guarantee which is normally five years (unless stated otherwise) from date of delivery. Somercourt Ltd provides a Manufacturers Guarantee with all products that it supplies and cannot be held liable in the event that the Manufacturer of the product sold, is no longer trading and thereby unable to support the product guarantee offered by Somercourt in support of a purchase in good faith. Somercourt Limited offers no product continuity of design and manufacture guarantee. Should you purchase a product from Somercourt Limited and at a future date wish to buy the same product and it is no longer available . Somercourt will not be liable to exchange or accept the return of the original goods. This website is owned by Somercourt Office Furniture, a trading name of Somercourt Limited (hereafter “Company”) , a company registered in England and Wales (company number 2825006), whose registered office is at 7A Castle Rd, Chelston Business Park, Wellington , Somerset , TA21 9JQ. Our VAT registration number is 634386330. Individuals: These terms of sale apply to all goods and services supplied by Somercourt Limited via http://www.somercourt.co.uk. The website is governed by the following terms and conditions; they do not affect your statutory rights. 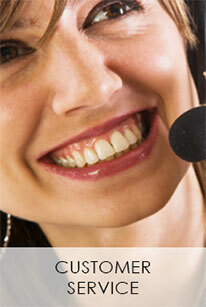 We have taken care to describe and show items and services as accurately as possible. Despite this, slight variations in items specification and services may occur. 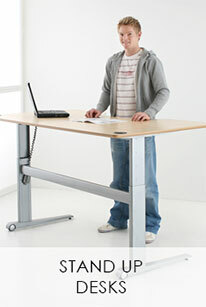 We provide you with product and service information on www.somercourt.co.uk. If there is anything which you do not understand, or if you wish to obtain further information, please contact our customer services team on 01823 668428. Consumers: If you refuse the delivery of your order for reasons under the Distance Selling regulations or you fail to take delivery because you have cancelled your contract under the Distance Selling Regulations, Somercourt Limited will refund or re-credit you within 30 days for any sum that has been paid by you or debited from your credit card for the goods. By exercising your right to cancel you are required to return the goods to Somercourt Limited. If you fail to return the goods to Somercourt Limited we reserve the right to deduct any costs incurred by retrieving the goods from you. In accordance with UK and International law, any notifications of claimed copyright infringement should be sent to us immediately. Such notification can be sent by email, to [email protected] or by letter to: Somercourt Office Furniture, 7A Castle Rd, Chelston Business Park, Wellington, Somerset, 237, TA21 9JQ. To register with http://www.somercourt.co.uk you must be at least 18 years of age. Complaints Procedure : We are very proud of our high standards of customer service however, in the event that we fail in meeting these standards, please do not hesitate to contact us at 7A Castle Rd, Chelston Business Park, Wellington, Somerset, TA21 9JQ.